According to several Spanish outlets, striker Alvaro Morata has completed an 18-month loan from Chelsea to Atletico Madrid and will arrive this Saturday. After several weeks of trying to negotiate his future away from Chelsea FC, Spanish striker Alvaro Morata finally got the liberty of transferring to any club he desired and Atletico Madrid was the option for him at the end of the day. The Spanish striker was able to finally strike his deal with ‘Cholo’ Simeone’s Atletico Madrid after Gonzalo Higuain completed his loan to Chelsea from AC Milan, but the details about Morata’s arrival to the Colchoneros still needed to be negotiated and reports from the Spanish press confirm that he has finally reached an agreement that everybody likes. Chelsea obviously wanted to sell the player, but Atletico Madrid didn’t trust this scenario and they wanted a loan that could guarantee them some time to see if the striker can recover the same level that he displayed at Juventus during his time in Italian football. Diego Simeone trusts that he can be capable of getting the best out of Alvaro, but he needed more than half a season in order to achieve this. The Spanish club requested a loan for 18 months, something that Chelsea finally agreed and the deal was closed this Saturday. Morata is already on his way back to the city of Madrid, where he will go through the protocolary medical tests and then get to work with the rest of his teammates. The report from Diario AS suggests that Morata’s family has been in Spain for the better part of this week that is about to end, they knew that the deal was going to get completed and only the details were left to seal from all parts. With Diego Costa going through physical problems this season for Atletico Madrid, Simeone decided that only having Kalinic as a striker wasn’t good enough for the Spanish club’s intentions to reach the UEFA Champions League final. We can’t forget that Alvaro has vast experience in this department because he not only won the competition with Real Madrid already, but he also reached the final back in 2015 against FC Barcelona when he was playing for Juventus and ultimately lost it. 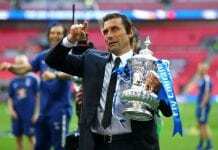 The Atletico boss trusts that the Spanish striker can deliver the goods soon enough for the squad, all he needs is to get in proper shape and start having the minutes that were denied to him back at Chelsea. 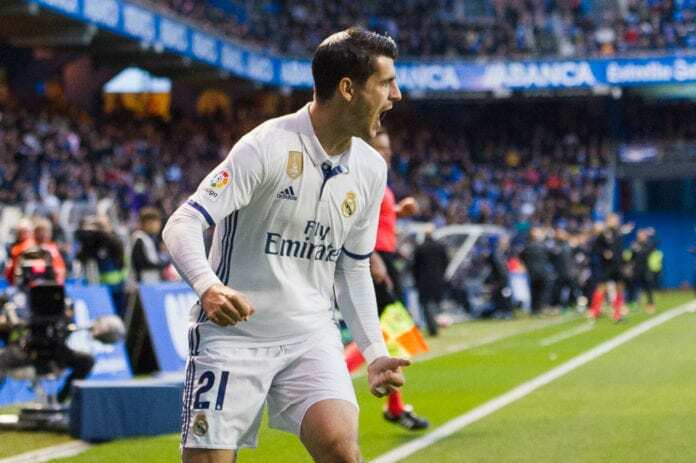 A major problem that Alvaro Morata will have to face after his controversial decision is the bullying from Real Madrid fans, the striker has decided to play for one of Los Blancos biggest enemies in the Spanish La Liga when he was always a product from this club. Social media harassment is already taking place against him, people are going wild by letting the player know that he won’t be welcome at the Santiago Bernabeu when he arrives while wearing the white and red jersey. There is still an announcement to be made, but even the Colchonero fans have already given their two cents on Morata’s imminent arrival. This Saturday during the match between Atletico and Getafe, an important part of the fans jeered against the player’s arrival because they obviously consider him an enemy due to his past as a Real Madrid player. Alvaro will have a lot of work to do if he wants to win the hearts of all those fans who currently despise him, they are not as forgiving as Los Blancos supporters when the situation is reversed and an Atletico player has decided to play for Real Madrid in the past. What do you think about Alvaro Morata’s controversial decision to play for Atletico Madrid? Please share your opinion in the comment section down below.